Running out of space in your tent or caravan kitchen? Extra storage space is always at a premium when on the road. Good storage solutions are invaluable. 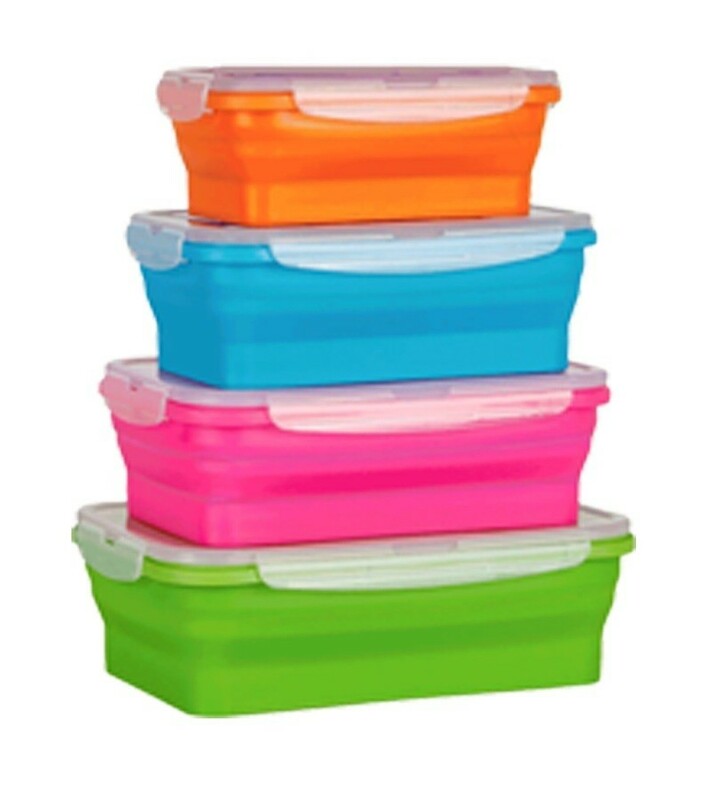 These clever containers tick all the boxes. 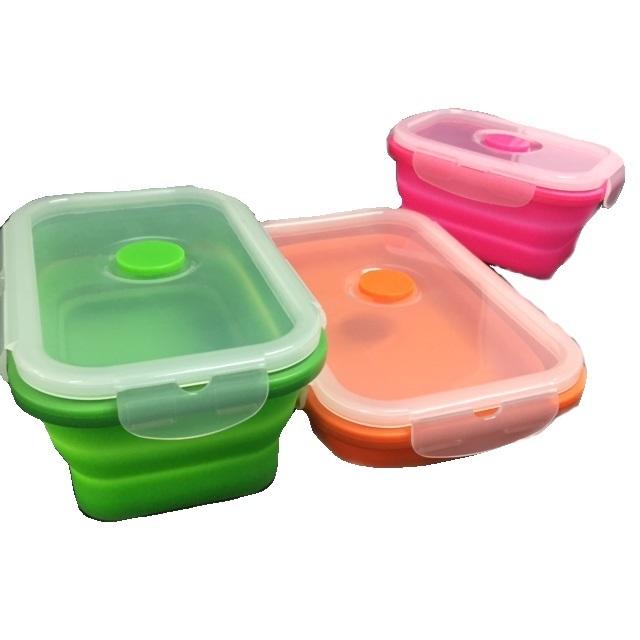 Made from sturdy yet supple silicone, they are dishwasher safe, freezer safe and microwave safe. They have clip on lids that are spill proof and include a steam release. 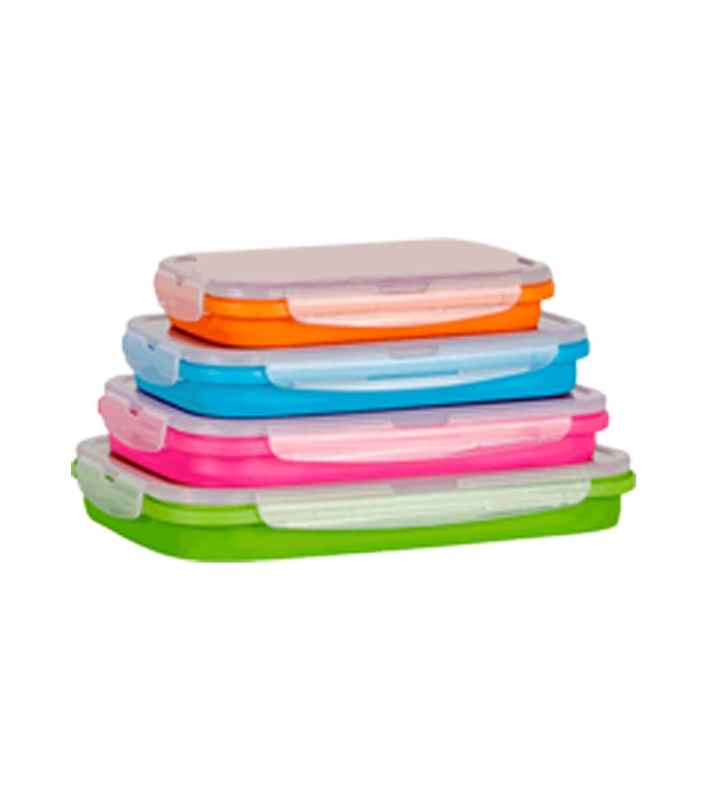 Most importantly they are BPA free so you can be sure of the health and safety of your family. 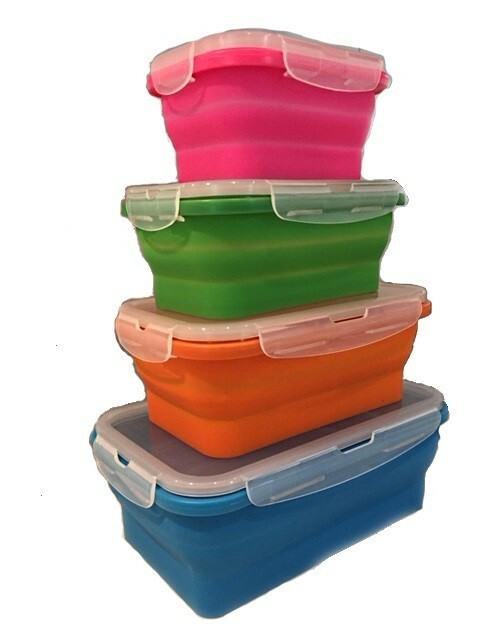 Each container collapses down to half its full height for storage when not in use. Perfect for use for a multitude of purposes, they come in a set of four sizes. Buy a set today and get ready for your next adventure. 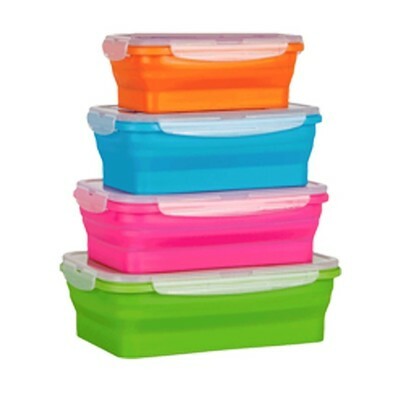 Includes: Set of four containers. Please note colours and branding may vary from time to time. 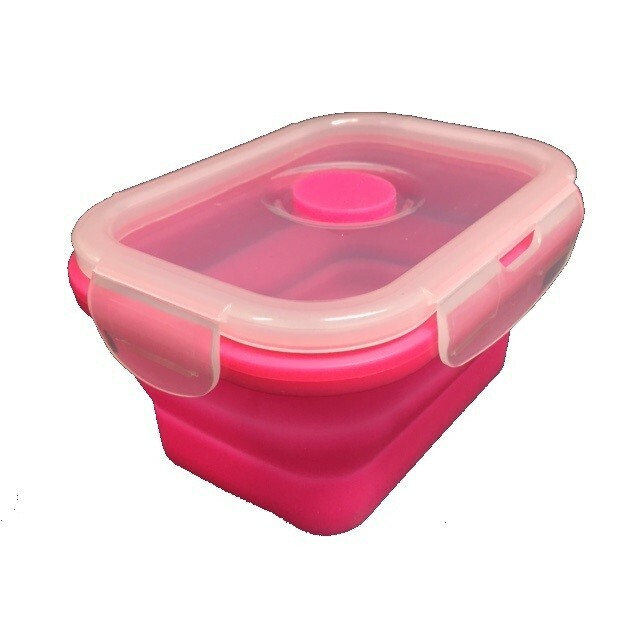 We have replaced all of plastic containers with the collapsible range, space savers and no messy lids falling out of the cupboard. Yay happy house.